Ozzy recently said that he's alive thanks to pure luck. The BLACK SABBATH singer has battled pneumonia and an upper respiratory infection, forcing him to cancel tours and spend weeks in the hospital, but the Prince of Darkness continues to stay above ground. 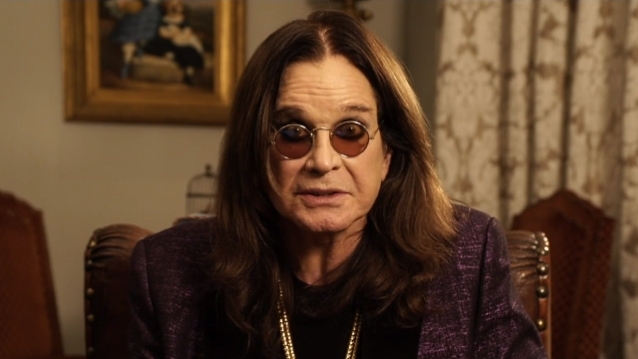 Ozzy explained to Metal Hammer magazine: "If you'd said to me years ago, 'How long do you think you'll last?' I would've said, 'I'll be dead by 40!' Luck has shadowed me all the way. If you'd read a news story that said, 'Ozzy Osbourne has been found dead in his hotel room! ', you wouldn't go, 'Oh, really?' would you? You'd say, 'Well, obviously!'"